When our club, Benevolent Order of Makers, (BOoMNerds on Instagram) was at the North County Mini Maker Faire, Maria and I taught crafting with paper clay. We love paper clay, because it's affordable, easy to use, and we can paint it, after it air dries. Making with the clay was a popular hands-on activity, so I ended up with a lot of loaves of bread from all the demonstrating we were doing. Today I set up my paints, so I could paint all the miniature bread pieces. Baguettes, a bâtard, and a traditional slicing loaf... and bagels, and pancakes (not pictured.) Painting isn't just a fun, creative part of finishing the paper clay pieces, it's also a necessary step in protecting them, since any moisture could make them start to disintegrate. The acrylic craft paints seals the dried clay. 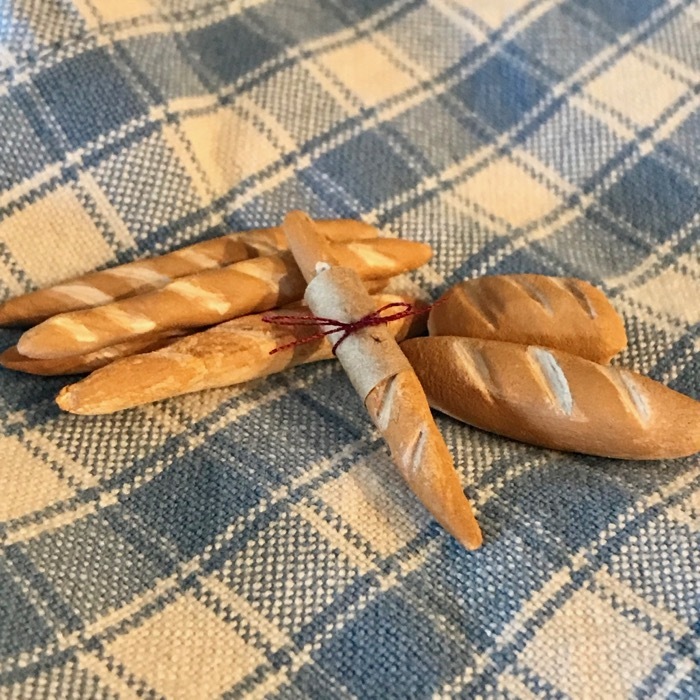 Maria brought out some pretty props from her doll house, so we could depict a picnic, featuring a crusty French baguette, still wrapped, and tied with bakery twine! 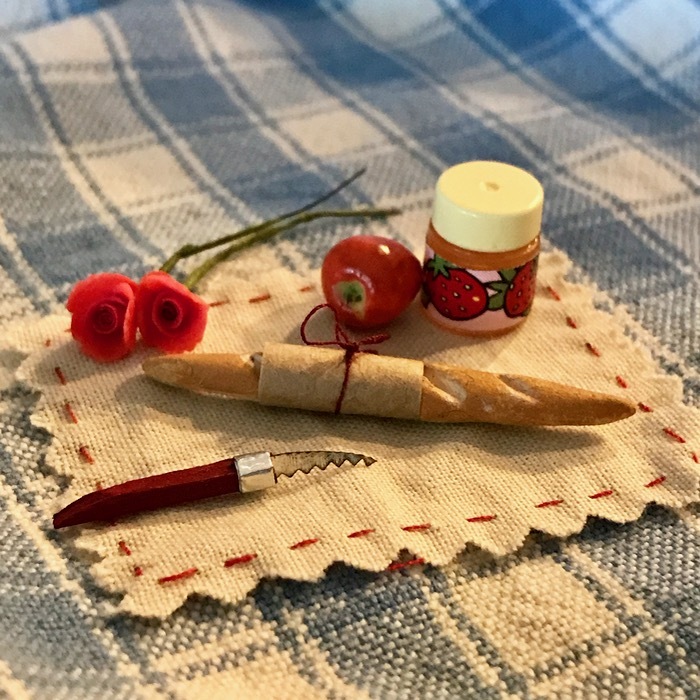 The little bread knife is one of our miniature make creations, too. Today I will finish painting bagels/donuts, and a cake. And we want to create some syrup for the pancakes. We may open a cafe, soon! Would you like to try making with paper clay? 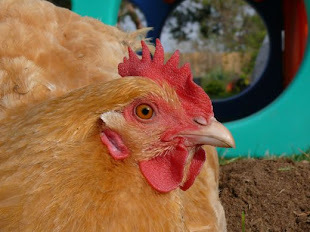 We have basic directions and craft suggestions at our BOoM blog. Goodness, what an overflow of adorableness! Every kind of wow. Wow! Maria's ready to open her own Etsy shop with these!